Why Your Bargain Roof Coating Is Leaking & Why You Can’t Stop It. Finding and fixing roof leaks is very often a frustrating and futile endeavor. It can also be a very costly endeavor if you go about it the wrong way. First thing you should know is that where you see the water dripping into your home or business is most likely not where the leak is. All roofs are pitched to some degree so leaks can occur on one side of a roof and the water will run to the first opening it finds and leak through. So the source of a leak can be far away from where the actual leak is occurring. So when you go up on your roof hunting for the source of the leak don’t automatically concentrate on where the drip is located. The best way to find a leak is to walk the roof in sort of a search grid. Up, down and then side to side. You must carefully inspect every inch of the roof. You are looking for any pinhole, crack or split in a seam. Anything that looks like an opening for water to get into. You must also check all HVAC equipment for any loose or damaged panels or shrouds, also check all the curb flashings. These are the usual suspects. If by chance you locate the source of the leak and it’s simply a split in a seam or small hole from someone stepping on a screw. Then you can apply some roof cement to fix it but make sure you embed some roof mesh into the roof cement. Roof cement is notorious for cracking and needing constant maintenance. Roof mesh will help extend the life of the roof cement. In general roof cement should be viewed as only a temporary fix. Which is ok for a couple of small fixes. What you don’t want to do is go up on your roof with buckets of it and start smearing everything in sight with it. This will cause more issues than it solves for sure. When you do this you tend to apply the cement way too thick and then in no time it will start to alligator and then crack or chip off. Then you put more on which works for a short time and then when it leaks again you apply more and it now works for an even shorter time and when it fails yet again you have a much bigger problem. Same goes for when you apply some bargain water based elastomeric roof coating to try and stop your leaks. They always fail way sooner then you think and if you bought it from a Home Improvement Store they will tell you there is no warranty because you didn’t have it professionally installed. Same goes for a lot of other roof coatings. Most times that great sounding warranty isn’t worth the paper it’s written on. The best thing is NOT to ever have to need to make a warranty claim in the first place. That happens when you use a high quality Industrial Roof Coating vs a water based residential grade elastomeric coating. 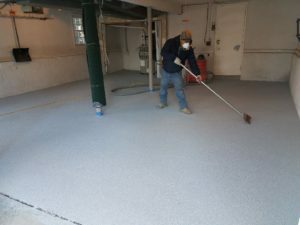 You must look at the performance specifications so you don’t get fooled into buying what you think is an industrial grade coating when in fact it’s nothing of the sort. 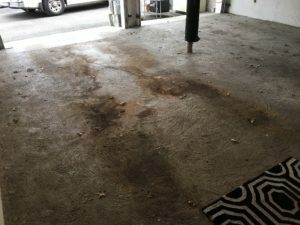 Once you start slopping roof cement all over the place and then put on an inferior coating and then have to recoat because your roof keeps developing leaks you end up going down the proverbial rabbit hole and your situation keeps getting worse until you have to rip the roof off and have a new roof installed at a tremendous cost. All of it could have been avoided with the use of the right coating at the start. Yes it cost you more money up front but in the long run you come out way ahead financially and stress wise. The biggest reason roofs leak and no matter what you do you can’t seam to find the leak is because the actual roofing material or roof coating you used has become porous and water is actually leaking right through the microscopic pores of the material. This is where reading and understanding the specifications come in handy! One of the items in a specification of a roof coating is Perms. Perms is short for permeability, which is how fast moisture can pass through a material. You may have heard of a Perm test for soil, this is where they test the rate water passes through the surface of the soil. Where land that is mostly clay will not be very permeable as compared to soil that is mostly top soil. Same goes for materials, all physical materials are made up of atoms and the tighter the atoms the less permeable that material is. All roof coatings have microscopic pores, spaces in between the atoms. The size of those pores determine the perm rating. In the case of roof coatings the smaller the Perm number the better. It means moisture has a smaller opening to pass through. When a coating is new the size of it’s pores are smaller than water molecules thus they prevent the water from passing through, much like the clay did in our soil example. However as a coating ages from the sun and begins to stretch out from constant expansion and contraction the pores begin to widen until they get to a point where they are now just slightly larger than water molecules. So guess what happens, you’re correct, your roof starts leaking. The worst part about it is that you can’t see this so you have no idea why your roof is leaking. Especially since you put a ton of roof cement on everything in sight. What’s even worse your roof may not leak every time it rains. If it’s cold out the roof coating may contract enough to keep water out or if doesn’t rain long enough there won’t be a lot of water weight on the roof coating so again it might not leak. This makes it even more maddening. So having said all that what you need to take away from this is that you want to start with a roof coating that has the smallest Perm rating to start with. So as your coating stretches and ages it takes a lot longer for that coating’s pores to start passing water. That is why water based elastomerics and most other roof coatings don’t live up to their claims. 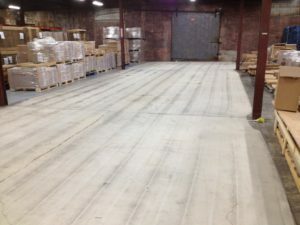 ArmorGarage uses the highest quality Butyl Rubber and no water in our roof coatings. Butyl rubber is even far superior to EPDM. This gives our coatings the Best Perm ratings by far, compare our Perm rating to your roof coating. This means ArmorGarage roof coatings will stay moisture proof far longer than any elastomeric, water based or EPDM based coating. So in sum if you go by just the first cost when deciding to do your roof you will most likely end up worse off then you started. Look at the specs, in addition to Perms, you need to look at Hardness ratings and Elongation ratings and what the roof coating is made of ie: water or Butyl rubber and epoxy. A quick word on silicone here, silicone is a must for ponding water and is the only time you should use it. Silicone is soft and subject to damage very easily and once you use silicone you can never use anything else since nothing can stick to it. So when it fails prematurely as most of them do you will be stuck with having to put the same inferior product back on and worse yet you will find out that that amazing sounding warranty is worthless due to one of the small print exceptions they pin on you. Knowing what you’re buying will help you avoid being in the position of spending untold amounts of time and money trying to fix an ever growing mess you can easily get into. At which time you call in your roofers Roanoke and they are 99.9% of the time going to tell you that you need a new roof for a gazillion dollars. It’s as easy to predict as if you would ask a Barber if you need a haircut.